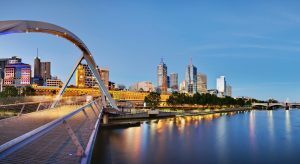 A vibrant cosmopolitan city, located on the lower reaches of the Yarra River and on the northern and eastern shorelines of the magnificent Port Phillip Bay, Melbourne is the capital city and cultural heart of Victoria. It is the second most populous city in Australia, with a population of approx. 3.9 million. Melbourne is a major centre of commerce, education, tourist, the arts and cultural activities as well industry. With a population of 5.2 million throughout the entire state and as many as 175 languages spoken, it is easily one of the most culturally diverse states in Australia. 90% of residents live in either the cities or towns making it the most urbanised state. Melbourne has a moderate oceanic climate and is well known for its changeable weather conditions. The phrase “four seasons in one day” is part of popular culture and observed by many visitors to the city. Melbourne is home to a contemporary, flexible and world-class education system with excellent schools, vocational training and universities. It boasts the second largest education system in Australia and one of the most advanced education systems in the world for both primary and secondary school students. Victorian government schools help international students learn English quickly and provide a high quality educational environment. The government schools have a broad-based education curriculum, ensuring a healthy balance between academic achievement and cultural, social and sporting activities. Melbourne’s two largest universities are the University of Melbourne and Monash University, the largest university in Australia. Some of the nation’s oldest educational facilities and institutions are located in Melbourne including the oldest Engineering, Medical, Dental and Music schools and the oldest law course in Australia – all offered at the University of Melbourne. Some suburbs in Victoria have been hit hard with the turn of the economical environment with some suburbs houses falling a massive four times the median price. The median house price for homes in the metropolitan Melbourne area are now around $435,000. The Real Estate of Victoria website (www.reiv.com.au) is one of the best websites to investigate housing prices and rental prices throughout the Victorian state. Melbourne has returned results of tremendous population growth in recent times and as a result the rental market has tightened to reflect this. There has been some ease in demand for larger, more expensive residential dwellings but more affordable houses, town houses, units and apartments are continuing to attract significant demand. The Victorian community is serviced by a range of health services including public hospitals, community health services and bush nursing services. These public health facilities provide a broad range of services including in-patient and out-patient medical and surgical services, rehabilitation, mental health, aged care and primary health care services. A key component of Victoria’s health system is the provision of health services through a system of regional self sufficiency, which enables patients to access the care they require close to home. Melbourne has a privatised public transport system comprising trains, trams and buses. Trams are the main form of transport throughout the Central Business District and run up and down most main streets, with their system boasting the largest tram network in the world. Trains are the most popular mode of transport throughout the greater Melbourne area. Metlink is the face of public transport in Melbourne which provides customers with a ‘one-stop-shop’ for information about services, fares and ticketing www.metlinkmelbourne.com.au. In terms of driving in Melbourne on an international license, the requirement to change your overseas drivers’ license to a Victorian driver license depends on whether your stay in Victoria is permanent or temporary. If you are in Victoria on a temporary visa, you can drive on your overseas license (provided it is current and valid) for an indefinite period provided your overseas license is in English (or you have an English translation or an International Driving Permit). The Melbourne City Council governs the City of Melbourne, which takes in the CBD and a few adjoining inner suburbs. The rest of the metropolitan area is divided into 31 local government areas. The local government authorities have elected councils and are responsible for a range of functions such as urban planning and waste management. 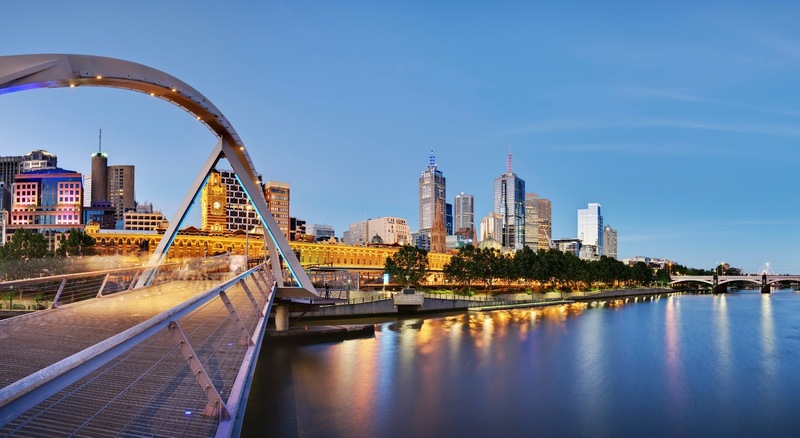 Melbourne offers a host of attractions – it is undoubtedly a city for everyone. From chic fashion stores to buzzing lane way cafes and trendy bars, botanic gardens to sports stadiums, elegant Victorian-era streetscapes to Manhattan style skyscrapers, film and food festivals to galleries and opulent theatres. Affectionately known as ‘The Garden State’, is goes without saying that Victoria is home to beautiful gardens including the Royal Botanical Gardens, Fitzroy Gardens and Victoria State Rose Garden which are some of the most spectacular you will find anywhere in the world. Melbourne city is host to many international and domestic sporting events on a grand scale. Major events include The Australian Open, The Australian Formula One Grand Prix, the Spring Racing Carnival and of course, the Melbourne Cup.